Image: Alexandra Frasersmith, Currents, held, 2017, cast glass, 6cm h x 8.5 w x 6cm d. Photo by Angela Bakker. Bio Mimic showcases the work of five Canberra artists who are united through the themes of bio-mimesis and vessels. It features the work of Alexandra Frasersmith, Angela Bakker, Danielle Day, Sarah Murphy and Tara Bromham. Bio-mimesis is a design practice that explores construction methods and systems of biological life. “Collectively, the artists query the natural world of shapes, textures and construction methods that are then translated into the creation of vessel objects,” Karena Keys, ANCA Gallery Manager, explained. Bio Mimic is an exhibition that investigates the biological world through different materials and processes. All of the artists in the exhibition use the natural world to inform their art practice through observation, replication, and abstraction of organic growth systems. “Vessels in this context can be anywhere between ephemeral, concept-driven interpretations to literal expressions of containers, either artistic in nature or entirely functional,” Karena said. Image: Danielle Day, Shelf Fungi, 2017, cast brass, 3.25 h x 7.2 cm w x 6.7 cm d. Photo by Angela Bakker. Each artist approaches their work in fantastically divergent ways employing a different material, such as glass, metals, plastics, ceramics, textiles, wax and found objects. “A dialogue emerges between their works through these material variations as well as similarities in making methods. In an example, the machined precision of Day’s CAD metal castings contrasts and complement the organic shapes of Frasersmith’s glass vessels that are cast using liquid wax to create surface textures,” detailed Karena. Both artists use the same primary method of making, yet the realization of their work is distinctly individual. This is also evident when considering the works of Bakker and Murphy. The delicate textures of Bakker’s raised brass vessels explore the simplicity and balance of organic forms while Murphy’s work offers wild crests of glass and steel that sit on top of, stable, steel casings. 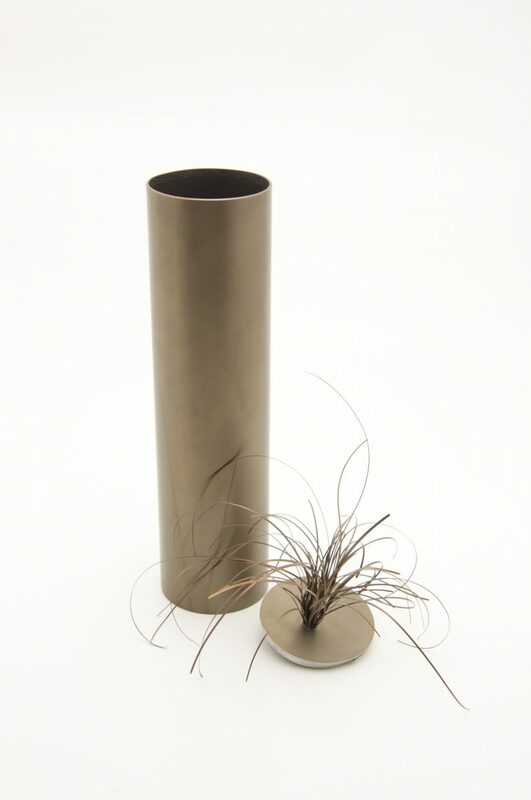 Image: Sarah Murphy, Still Life, 2017, stainless steel, dimensions variable. Photo by Angela Bakker. 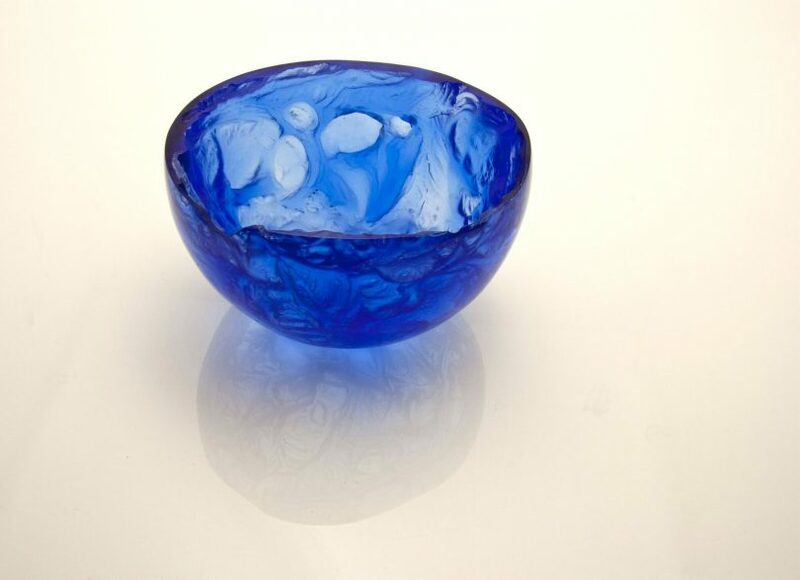 In contrast to the density and strength of these metal and glass pieces, is Bromham’s work. Floating with ephemeral grace, Bromham’s organic dyed silk artworks provide a softer take on the theme. 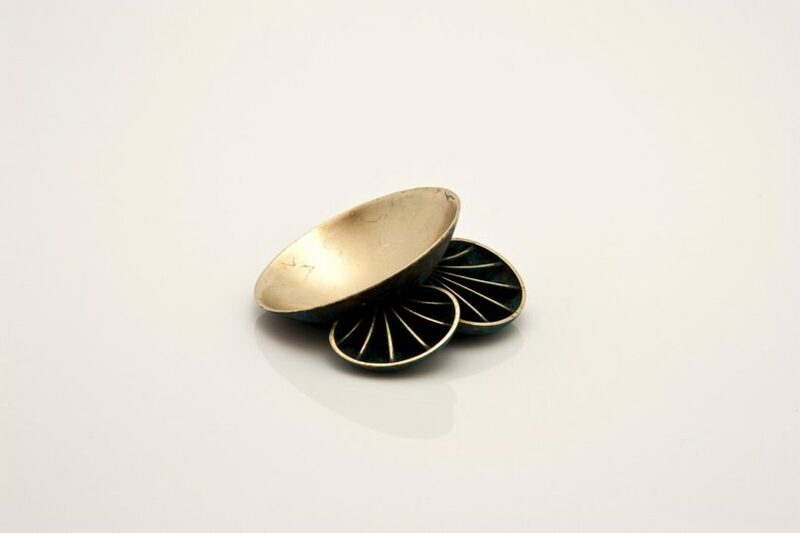 The artist also uses botanical studies of seedpods to articulate her gendered experience of the body and landscape that result in a series of wearable brooches. “Bio Mimic is an exhibition that showcases a collection of artworks that are as unique and complex as nature itself,” Karena concluded.